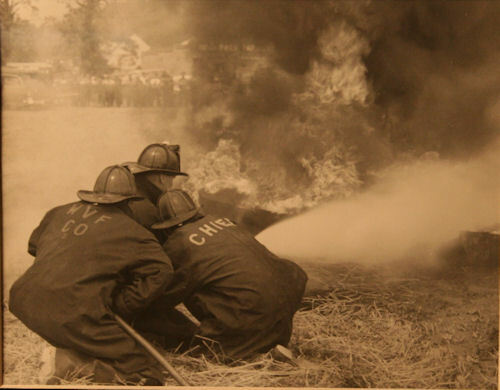 Ed Mason was not entirely new to the fire fighting business. 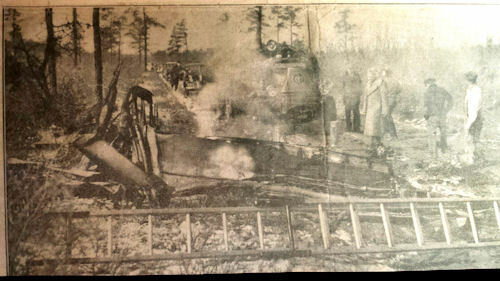 He kept a shovel at his front door at all times “just in case.” I used to deliver the newspaper to Ed. I knew him as a nice, quiet old timer. 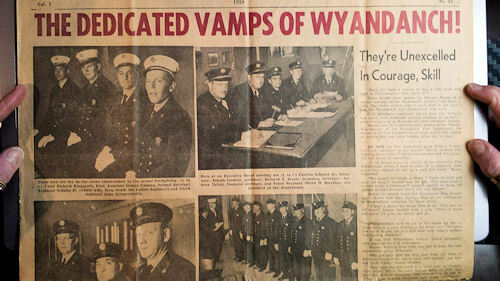 When I found out who he was from my father (an Ex-Chief himself) I’d sit and listened to some of the stories he had to tell. 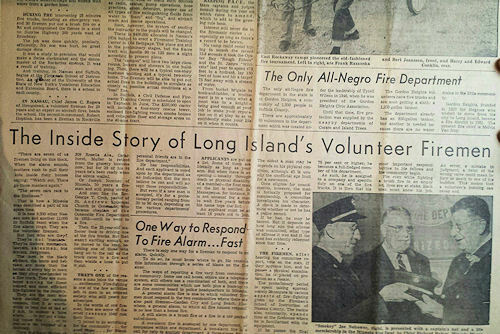 (I should have delivered his paper last) “Brush fires were our biggest concern in those days,” he said. 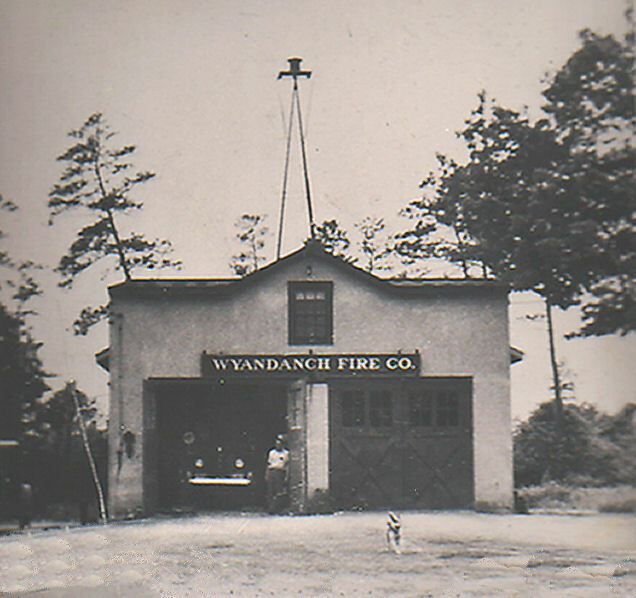 “There was no organized fire protection in the northern part of the Town of Babylon until we came along.” Wyandanch was a summer vacation town then with less than 500 year round residents. 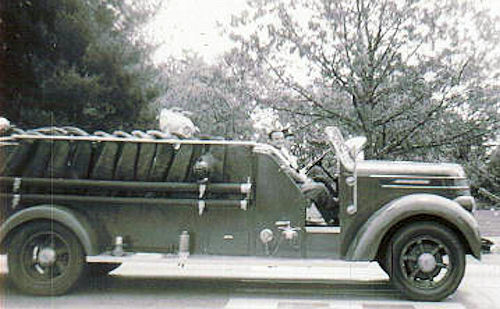 Ed Mason was one of twenty-five Charter Members and was affectionately known as the George Washington of the fire company. 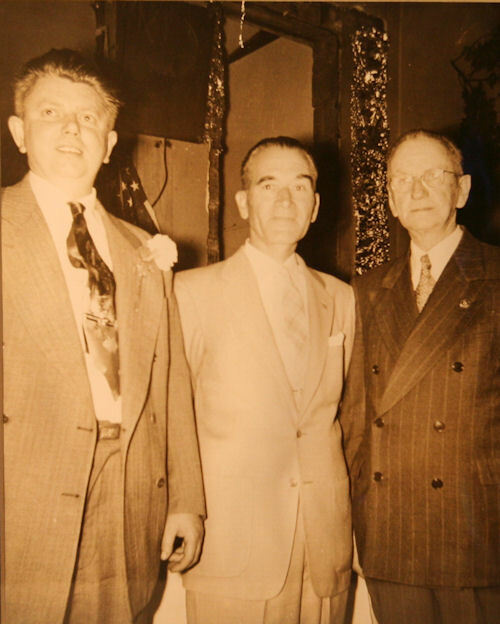 He served as the first President of the company and was an officer in some capacity for 34 years until he took a break in 1959. 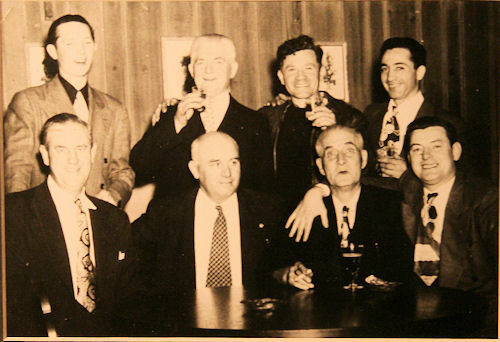 That first organizational meeting yielded $240 to start the Company. 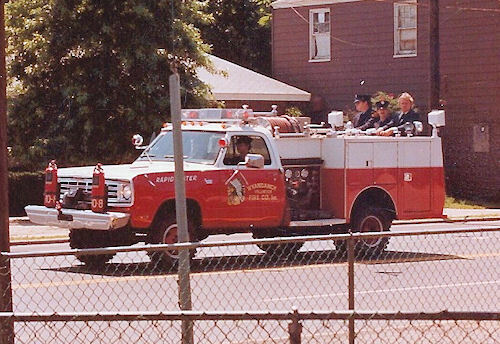 They contracted with the Town to provide fire protection in what was known as Fire Protection District Thirteen. 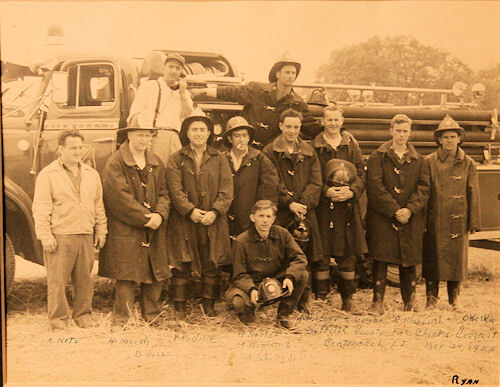 In 1928 New York State issued them a Certificate of Incorporation, formally recognizing their Bylaws and Procedures. The early days were difficult at best. 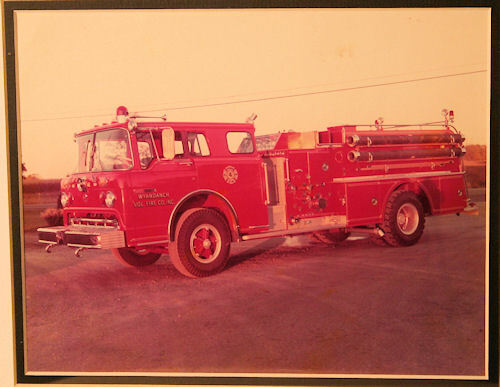 The Town contract only provided the Company $400.00 a year with which to buy equipment, supplies and try to find a permanent structure to call home. 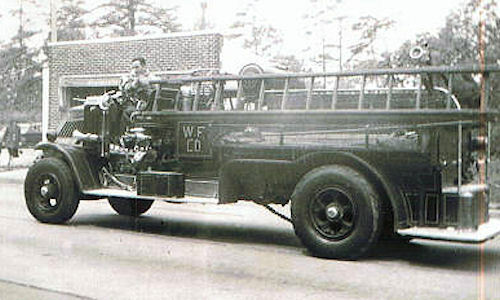 Many times the members themselves would have to use their own money to put gas in the apparatus so they could respond. (Try that in today’s world) The rest of the funds were received by conducting fund raising bazaars, “tag day” (a process that required you to wear your uniform and go door to door with a can asking for donations), and other similar fund raising activities. 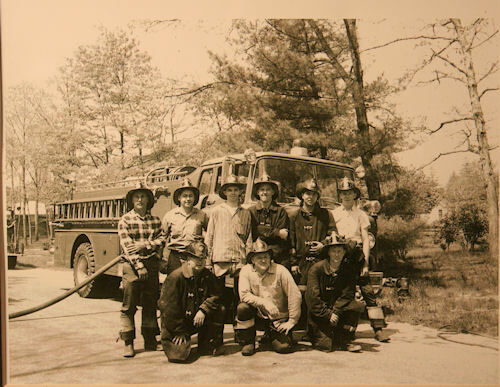 “Sometimes it seemed like we spent more time trying to raise money than we did fighting fires”, said Ex-Chief Emil Moeller, another 80’s + member. They even resorted to fining themselves for various offenses; miss a meeting – pay a dollar, skip out on tag day – pay five dollars, cuss at a meeting – that’ll be twenty five cents please for each occurrence. The men were not in this by themselves. 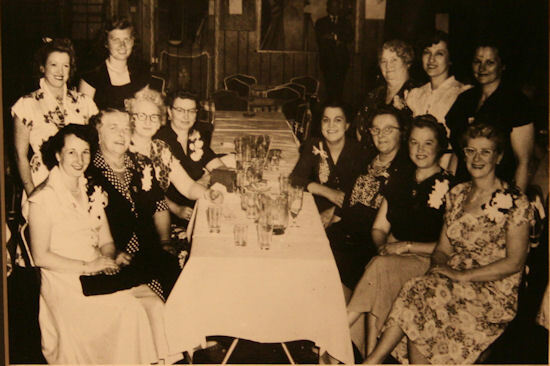 The Ladies Auxiliary was formed soon after the Company received it’s Charter. 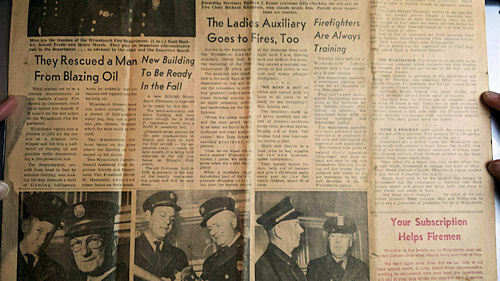 The ladies did not fight fires but they helped out in many other ways. They were the wives, mothers, sisters and girlfriends of the members. 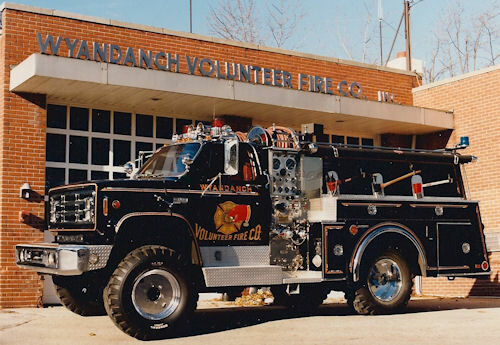 They helped out with all the fund raisers, organized the annual children’s Christmas party, responded in the middle of the night to make coffee for an “all-nighter” or made sandwiches during one of those “invitational” brush fires that could last for a couple of days. 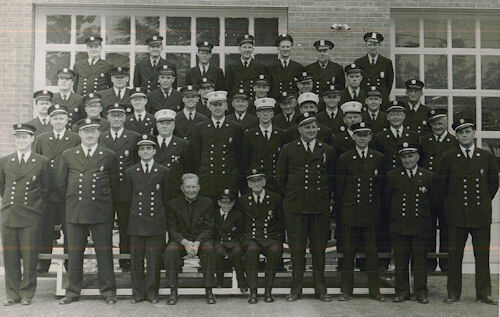 Most of all they were supportive and understanding during the trying times that every department goes through. 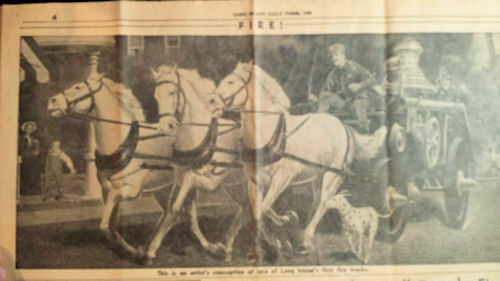 There was no “Firehouse” until 1929. 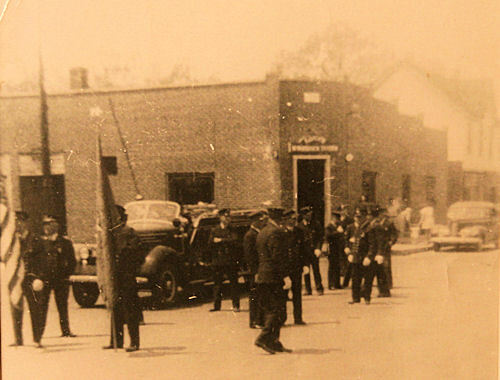 The first pieces of equipment were housed in the shed of the hotel in the center of town. 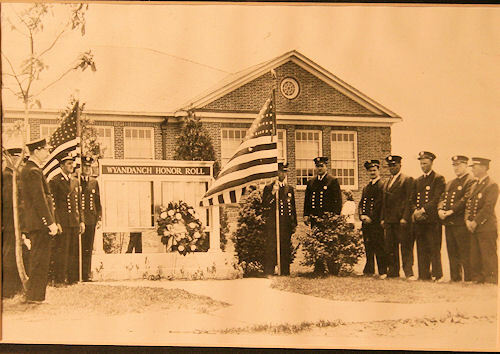 Ironically, the Hotel burned down and in 1929 the Wyandanch Fire Company moved into it’s first fire station on Straight Path and south 17th Street. 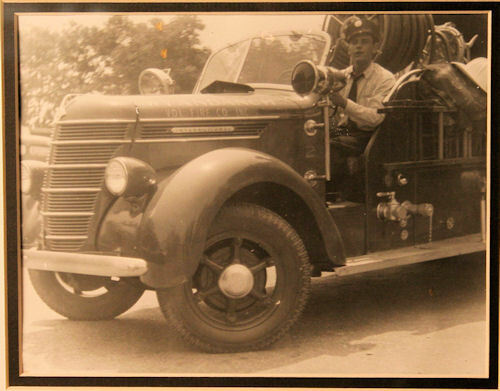 Despite the effects of the Depression the Fire Company endured and grew. 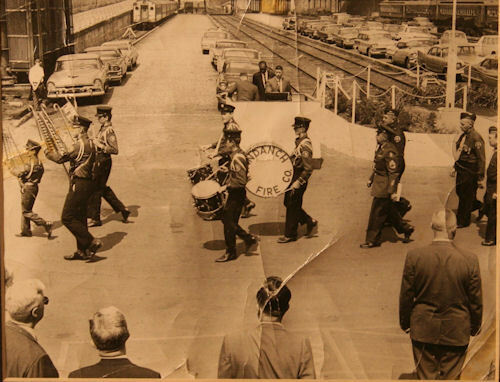 The members were mostly blue-collar workers performing a blue-collar endeavor. 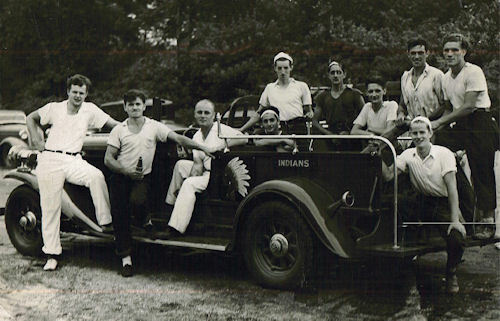 This common socioeconomic bond solidified the “brotherhood” nature the fire service is known for. 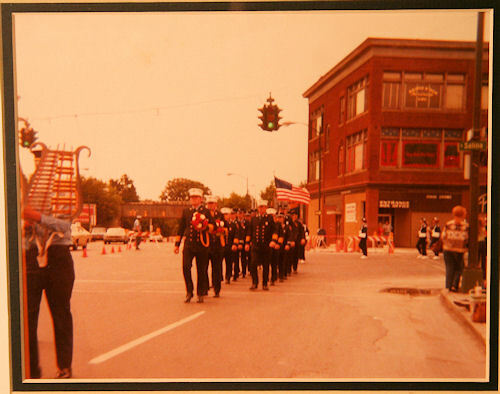 This period of time also saw a change in the community itself . 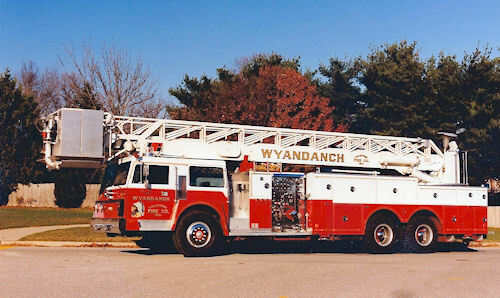 Wyandanch was a great vacation destination for the wealthy people of New York City. 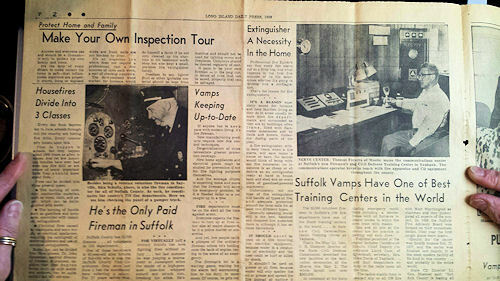 With the downturn of the national economy many of the previously used vacation homes became year-round residences. 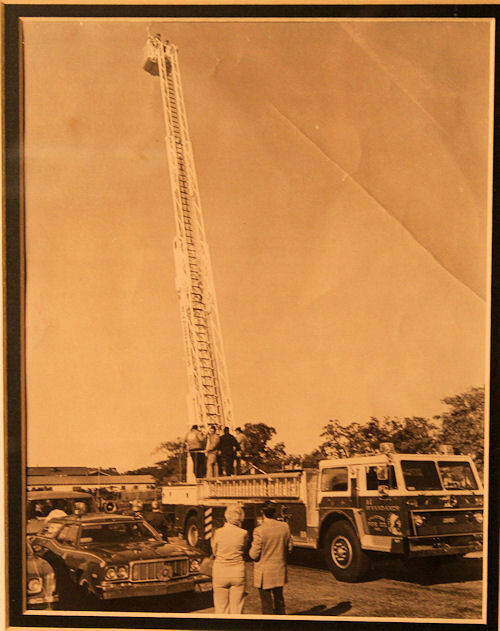 The increase in population brought an associated increase in “work” for the fire department. 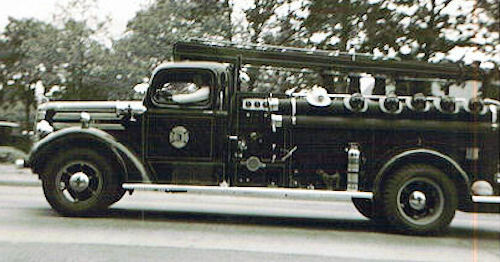 The original light duty pieces of apparatus were replaced with more modern, used, equipment. 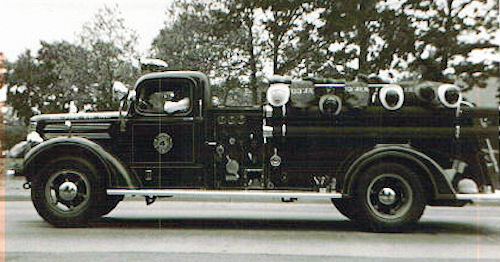 In the 1930’s a used 1927 AC Mack became the major work horse. 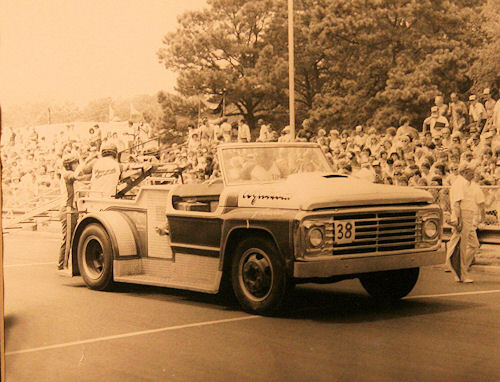 It was an imposing monster-like chain driven vehicle, at least it was to this five year old. 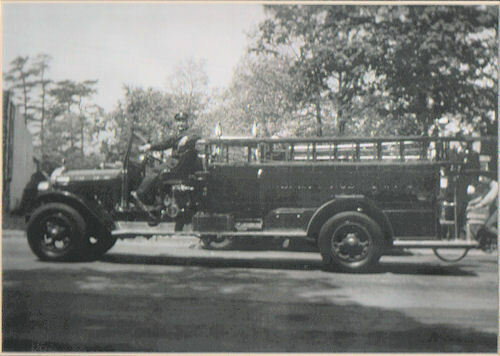 In 1939 the Company purchased it’s first brand new fire apparatus- an International Class A pumper. 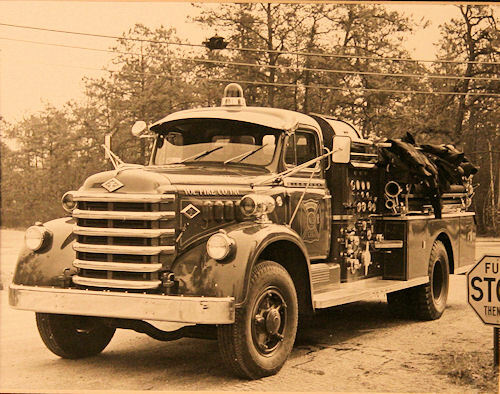 These two pieces were quickly relegated to back up status when the Company purchased a 1941 Mack and a 1945 Mack. 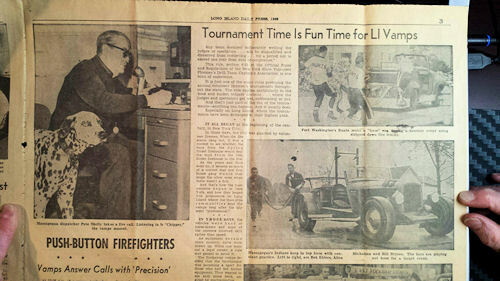 The firehouse was now full; room enough (barely) for all four pieces of equipment, a small general purpose room, two restrooms and of course a pot-bellied stove, a great source of heat and an even greater source of stories and recollections that are legendary today. 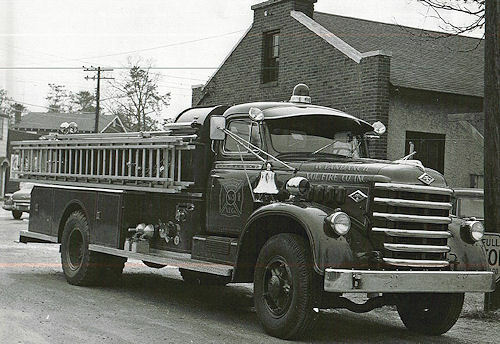 In 1955 the Company purchased a brand new Diamond T pumper featuring a high-pressure fog fire attack system. 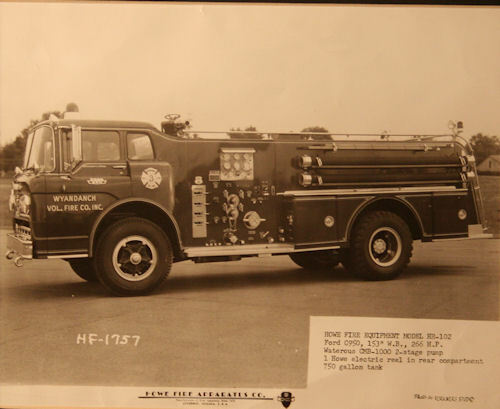 It was the pride and joy of then Chief Henry Marsh, who at 78 years young is still an active member. 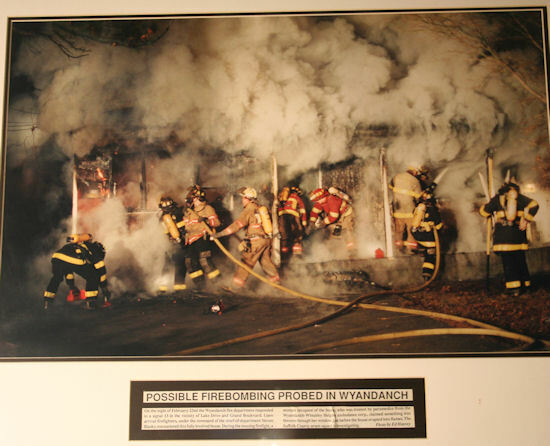 “High-pressure fog was a great tactic at that time because it used very little water, we didn’t have a hydrant system in town like we do now”, recalled Ex-Chief Marsh. 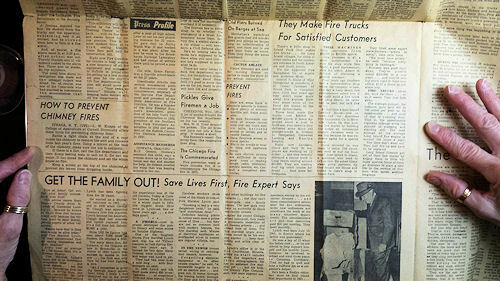 The problem was they had out grown the current firehouse. 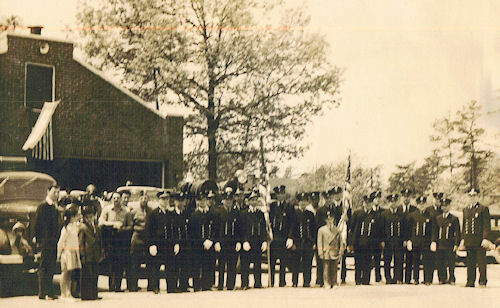 Plans were drawn and in 1959 the members moved into the new firehouse built on the property adjacent to the original one. It seemed that in the blink of an eye the town had changed dramatically. 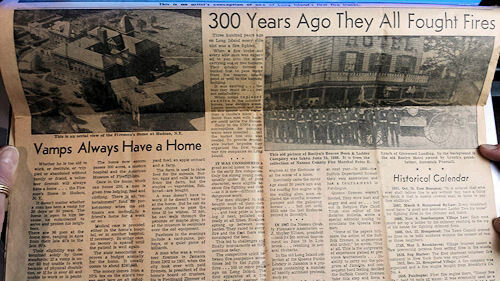 Once vacant tracts of land saw new developments spring up. From the school on Straight Path to the southern borders of the district hundreds of homes appeared. 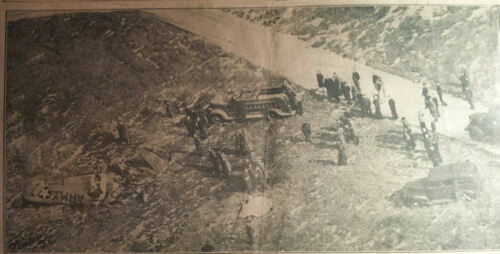 Plans were in place for several new “developments”. 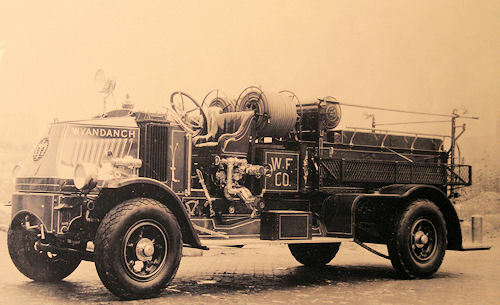 Industry, people, newer and bigger homes brought with them all of the fire risks we see today, and the Fire Company kept pace. 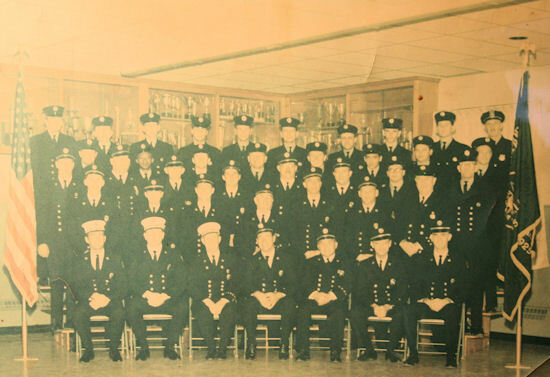 A second firehouse was built on Main Ave between N. 21st St and N. 22nd St. in 1964. 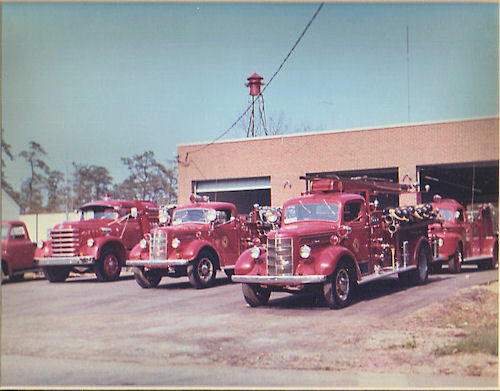 Both firehouses have had additions and modifications since their original construction. 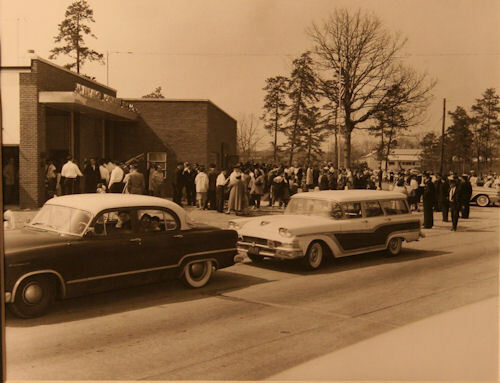 Changes were necessary to accommodate newer larger apparatus, educational facilities, and administration offices. It may be a volunteer organization but it operates like a business from day to day. 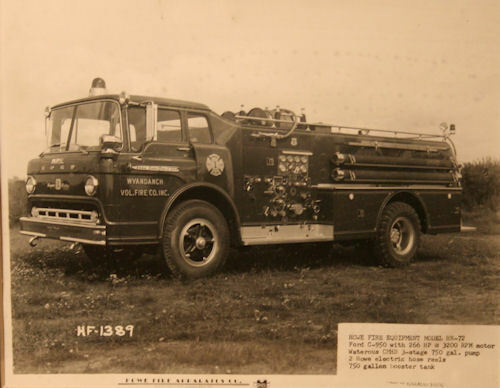 The department has changed radically from that founding group of ballplayers with the Modal T truck to today's’ OSHA compliant firefighters and our fleet of specialized equipment. 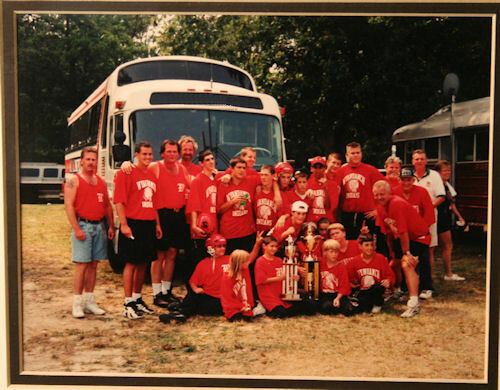 The only thing that hasn’t changed is the cast of characters that make up a volunteer fire department. 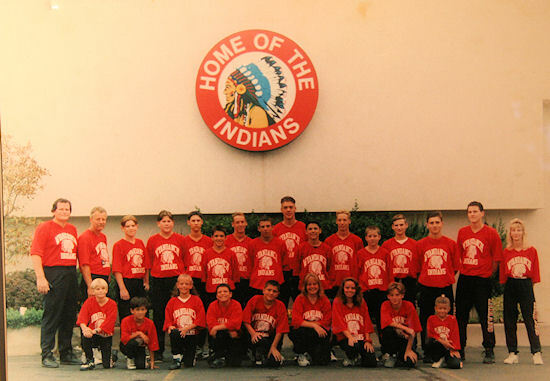 The names and faces are different but the verve, dedication, and camaraderie has remained intact.